A conviction to a speeding ticket in New York can be costly. Hiring the right lawyer can make all the difference in whether or not your case is a success. In most traffic cases, our client’s save big money on their fine, save points on their license, and save lots of time sitting in court. We are award winning New York speeding ticket defense lawyers and have helped thousands of individuals against speeding tickets and criminal charges. New York State is comprised of over 60 counties and each year those counties handle thousands of speeding tickets that are issued to motorists along State highways, county roads, and municipal thoroughfares. Unknowingly, more than 90% of drivers ever contest their ticket and are shocked to receive hundreds of dollars in fines, penalties, insurance increases, and points on their license. If you were issued a speeding ticket any place in New York State, there is a good chance we can help. If you have a ticket in New York, give us a call and ask how our attorneys can help you. Call us now at 800-893-9645. You Save Time: You stay home while we go to court. You give us authorization to appear which in turn gives us the binding legal authority to act on your behalf. You Save Points on Your License: We have excelled at getting tickets dismissed or reduced. You Save Money: Over the years, we have saved our client’s thousands of dollars in fines, surcharges, assessment fees, and insurance increases. We are Lead by a Former Prosecutor: Having a former prosecutor can help in analyzing critical issues to your defense. This could make all the difference in whether or not your case is a success. 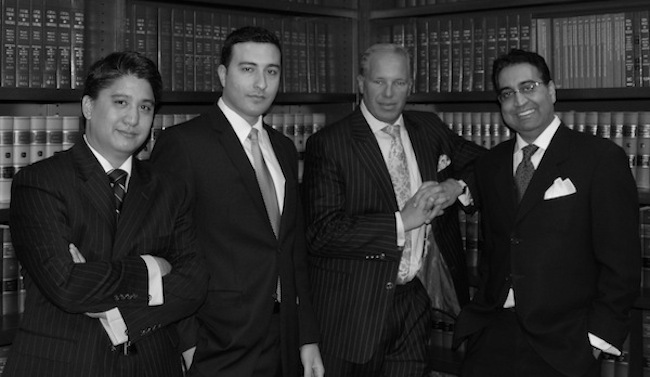 Superb Lawyers: Through our hard work, we have been recognized as some of the best traffic lawyers in New York State. Our office is consulted on a daily basis. We have noticed that many callers share the same concern. We hope these questions and answers provide you with some quick answers to your questions. 1) “The ticket doesn’t state how much the fine will be if I plead guilty. If I plead guilty, how much will I be required to pay?” New York law controls the parameters for the fine. However, the presiding judge sets the fine on a case-by-case basis sets the fine. 2) “How many points am I facing?” For your convenience, this chart will explain how many points you are facing. 3) “Can I really be sentenced to jail for a ticket?” Yes, while it is rare, the presiding judge has the option of imposing a jail sentence for major speeding violations and many other violations of the Vehicle Traffic Law. To speak to one of our attorneys, call us now at 800-893-9645. * Every case is different and must be evaluated on a case-by-case basis. This office does not guarantee a particular result on any case.